The events of September 11, 2001 have made terrorism a burning topic. Consequently, separatist and revivalist movements in many parts of the world have been equated with terrorism. 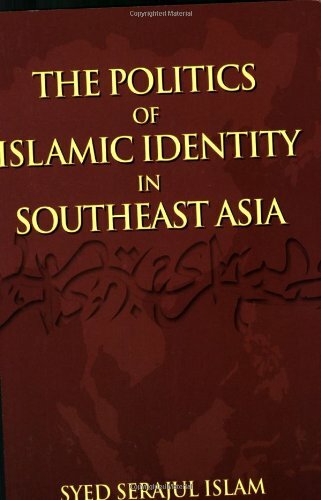 This book addresses the issue of terrorism, separatism and Islamic revivalism and examines, in minute detail, the movements in the Philippines, Indonesia, Thailand, Myanmar, and Malaysia. It is suitable as textbook for students majoring in Southeast Asian politics, and provides ample resources for researchers and experts on Southeast Asia. General readers can also benefit from its lucid language and comprehensive coverage. Syed Serajul Islam is Chair and Professor of Political Science at Lakehead University, Canada. He received his Ph.D. from McGill University and taught at the International Islamic University Malaysia, McGill University, and the University of Dhaka. He was a visiting Fulbright Scholar at the University of Iowa, U.S.A. in 1998. He has published 8 books and almost 70 articles in internationally refereed journal.